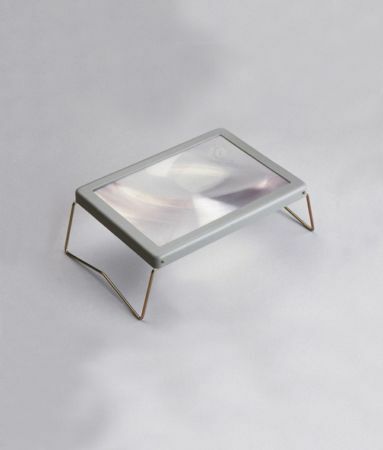 Sheet Magnifier with Stand With Fold-Away Legs. There really is no reason to strain your eyes when reading or carrying out detailed handiwork any longer. This handy sheet magnifier with stand can be easily positioned to magnify whether you’re using it flat, or at an angle. This allows you to easily read newspapers, magazines and books comfortable and without squinting or hurting your eyes. Its magnification makes it easy to see small print or detail – making it ideal for craftwork. And with its sturdy, foldable legs the magnifier can be stored away flat, meaning it can become a practical travelling companion!